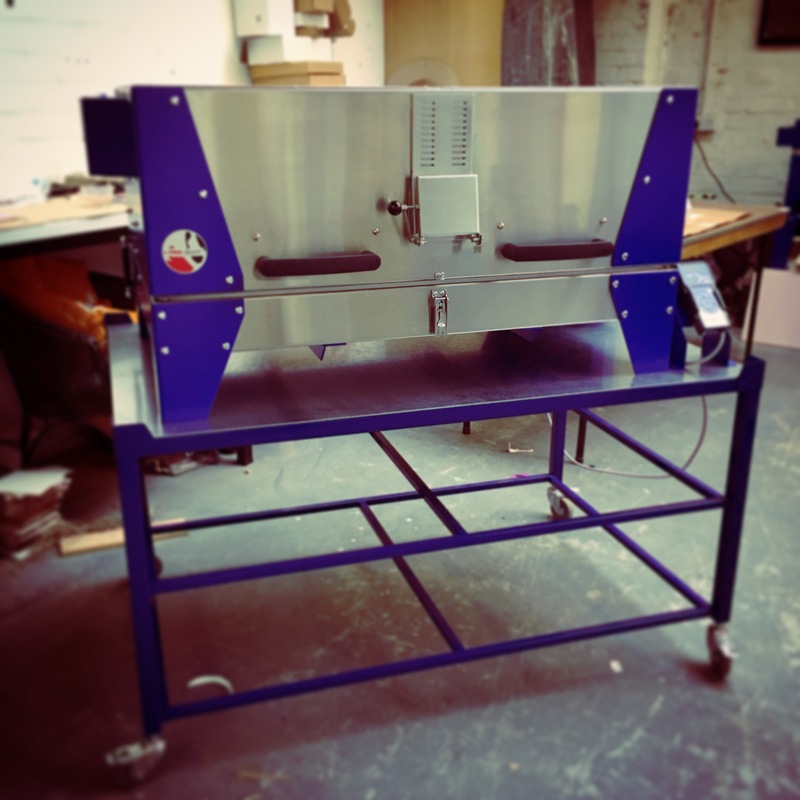 Quite a few people have been asking me for workshops this autumn and winter, but the studio having a makeover, as well as a shiny new kiln to fire all my lovely students work in (and occasionally, some of mine!) – so with that, and other busy times in my world, I’ve been off the radar a little bit. Unfortunately, the ‘re-model’ (that sounds a bit posh) hasn’t gone according to plan, and I am still waiting for some of my bespoke furniture units, so I don’t feel it’s suitable for a full fusing class just yet. 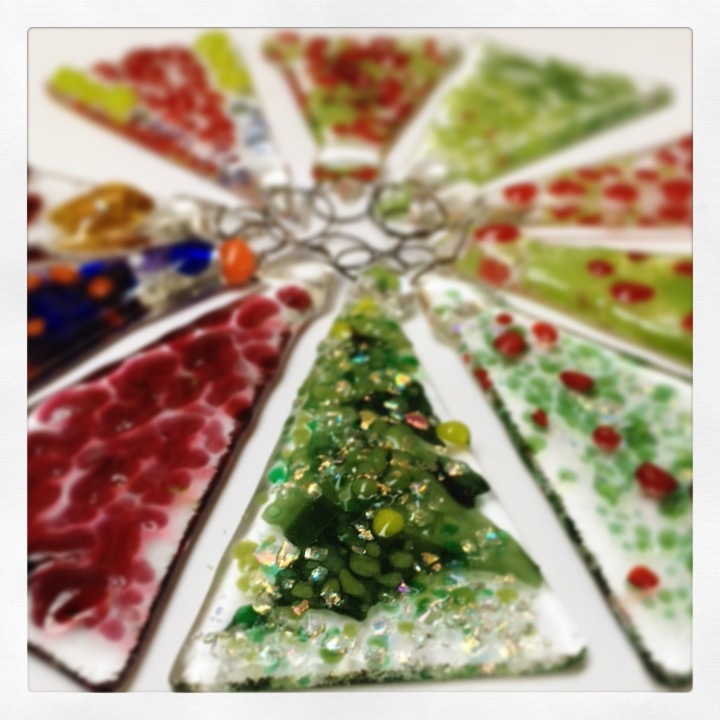 However, as a last minute dash I am doing some quick taster workshops next Sunday, 17th December, where you can make either a couple of decorations or sun-catcher – which you might want for yourself, or to give as a unique gift. 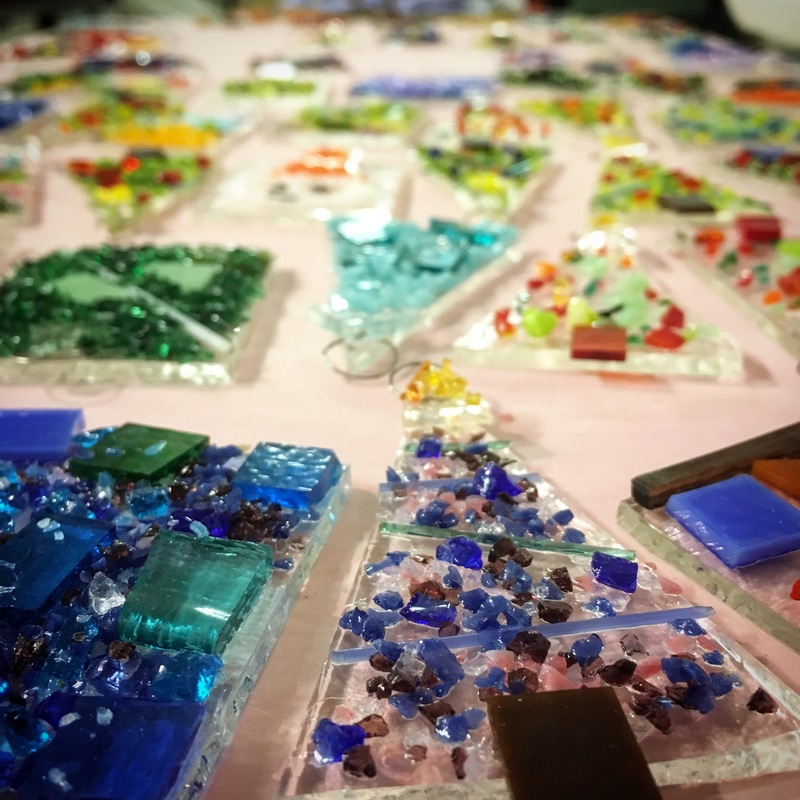 For this class, there won’t be any glass cutting – you will have clear glass blanks to work with, and can get your hands on my vast assortment of accessory glass to decorate them with. Please be aware you will be working with (what I call) raw edge glass – it’s been cut, but not rounded off. The class IS suitable for younger people, but any children must work alongside a responsible adult whilst they’re making. The cost of the class is £10 and you can make three decorations or a sun-catcher. There will be an opportunity to make more pieces during the session for a small additional charge. The pieces will go in the kiln during the sessions, which will be fired up at the end of the day, so everything should be ready for collection late on Monday onward. As it’s so last minute, I won’t be putting this as an option to buy via the website, so if you want to book on, please contact me via the contact form or you can call or text me on 07971 423335.